There’s a lot to love about Blade Runner 2049, whether it’s the faithful continuation of the story from original pen Hampton Fancher or the stunningly beautiful cinematography from camera virtuoso Roger Deakins. A lot of things that deserve to be praised. Unfortunately the films marketing campaign ain’t one of them. And it’s a real shame, because, considering its poor box office performance, this film really could have used some catchy and favourable media coverage. Instead we got this trite orange & teal trivialities that look nothing like Denis Villeneuve’s dark nuanced neo-noir thriller. Not like the barren wastelands and certainly not like the cold, monumental metropolis. The only thing those posters managed to accomplish was to scream in your face with their overexposed colour palette. A nuisance I absolutely wanted to avoid with my custom covers collection. The official cover art (#1) suffers from the same lack of imagination as the poster campaign. It’s cropped without care and places the logo and its subtext way too close to the bottom edge. A real hackjob. At least the vinyl release somewhat delivers. After all the studio payed due regard to the square album art ratio and re-arranged the protagonists side by side. What you see here is actually a remake (#2), because I couldn’t find the original in good quality. My main emphasis on the custom covers set below was to bring this series back into the bleak and dystopian realms that Blade Runner is known for. Back in spring, when everything about this film still felt all-out promising, WORKS ADV and BLT Communications released a pair of teaser posters upon which my first two custom covers are based on (#4, #5). I finally worked with digital glitches and distortions again, primarily inspired by the films subtle but artful end titles. After laying out the basic concept, I gently added different glitch filters/actions in Photoshop and re-arranged certain elements by hand, to give each cover its own unique touch. I even threw in some screencaps from the end credits sequence, although they’re barely visible. 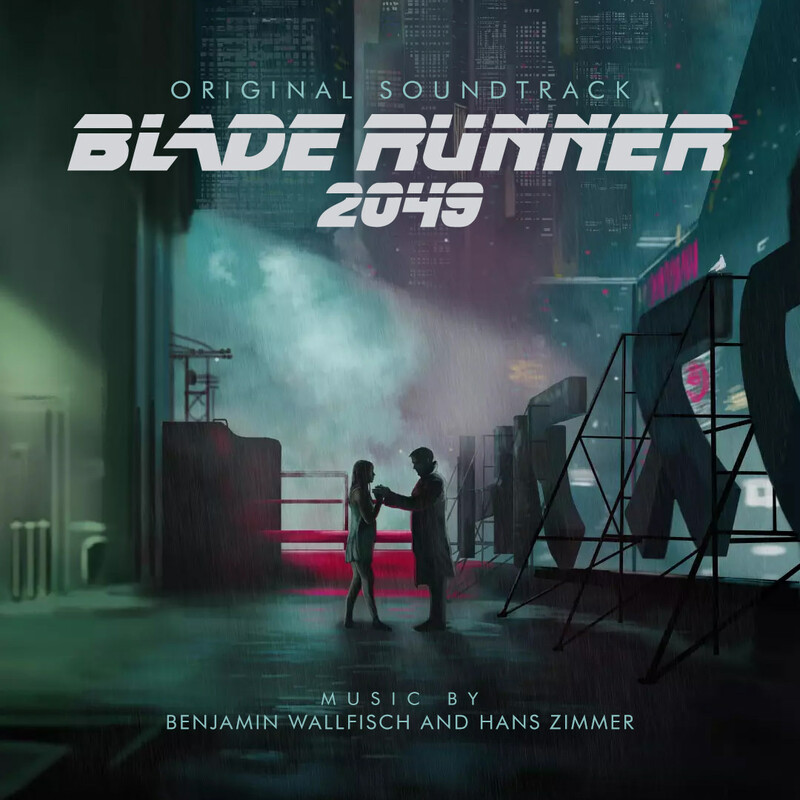 Another sure shot for me was trying to create a counterpart (#8) to the original Blade Runner album art, which is pretty iconic to me. It’s based on a one-sheet from Erik Lehmann who has a delightfully retroesque, hand-made quality in his work. It perfectly fitted the old-school style I was going for. Click here for an even more bare-bone variation. Another slick entry from the Talenthouse poster design competition that struck a chord with me, was a fan poster from creative artist Pablo Iranzo. His piece looks so extraordinary that I just couldn’t spoil it with any real additions of mine. I basically only changed his film credits text block with appropriate album credits and decided to call it “Vinyl Version” from then on (#9). 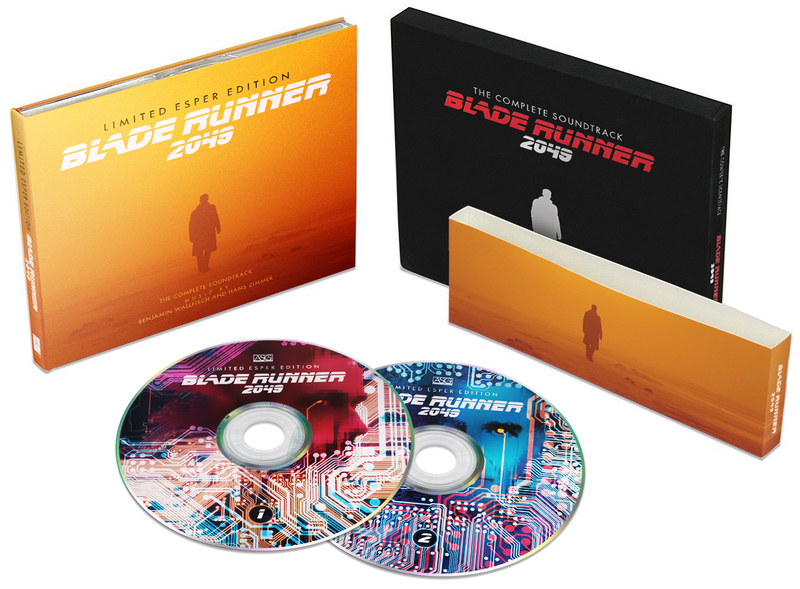 The BR2049 logo in the mockup below is intended to be embossed with a glossy finish, while the rest of the front cover remains matte. It’s not coming through as I wanted it, but you get the idea. The last two designs in this block are courtesy of Jayasaurus from The Cover Warehouse. 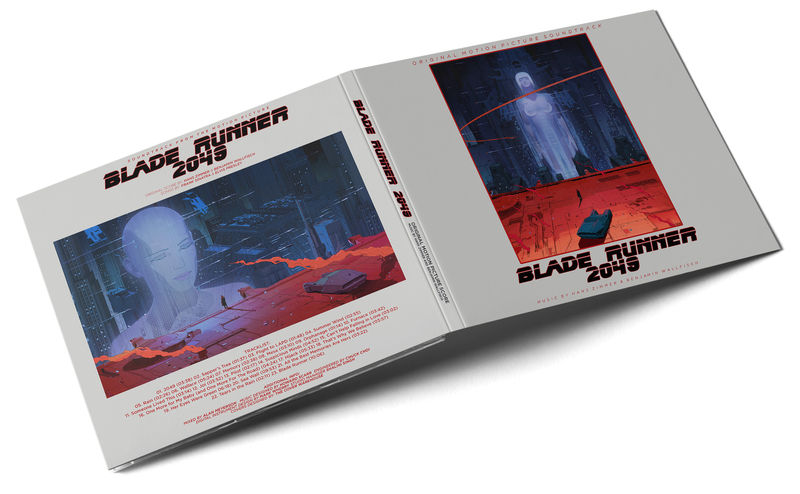 He came up with both the front and back cover (utilizing two incredible posters from Ash Thorp and Maciej Kuciara) and I basically just grabbed and put them into the digipack mockup below. Great things deserve to be shown off accordingly. While this digipack version would make for a well-suited and worthy closing entry to this blog post, I felt like I need one more thing… an additional piece that’d fit my own needs for minimalistic and polished cover art. Although I’m not sure if I succeeded in that regards, but the sweet temptation of turning the official artbook into my own version of a digipack release was just too damn high to neglect. I did what I usually do best and recreated the works of others in a) higher image quality and b) disguised as a soundtrack cover. Pretentiously labeled Limited Esper Edition, this hypothetical release is meant to contain the complete score of the film – spread onto two discs, for which I blatantly rehashed two great poster designs from Michael Friebe. I re-designed both the outer slipcase (#13) and the inner digipack (#14) – and a combination of both representing this release as a whole (#12). Covers #15 and #16 are added as alternate variations, since I thought that this particular scene looked pretty neat in combination with the red BR logo above it. I originally didn’t plan to cover this soundtrack on my blog as my initial reaction to the score was rather lacklustre. 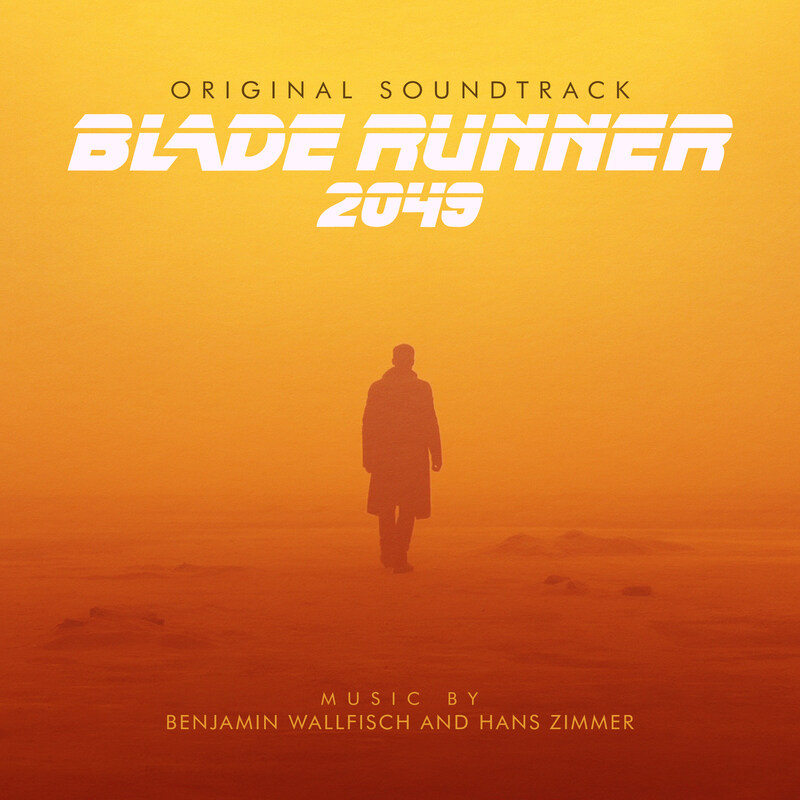 But Benjamin Wallfisch’s and Hans Zimmer’s music has started to grow on me recently and – going back full circle to my opening paragraph – Blade Runner 2049 deserves praise. This is first and foremost my personal ovation to Alcon Entertainment and their admirable bravery. The fact that this film was even made, is a miracle in itself. But to give the director the final cut is an absolute novum, especially in these calulated blockbuster times we’re living in. In the end Denis Villeneuve delivered a slow, hypnotizing beast of a film, with a runtime clocking in at nearly three hours. A modern age blockbuster that breaks ties with almost all common blockbuster rules. Acclaimed by critics, disregard by audiences, loved by fans. I personally never had a problem with the official cover, because even with those vibrant colours, it gives you a rather bleak atmosphere. Your covers, on the other hand, are something else entirely. I absolutely love the glitch effect of #4 and #5, especially since i always thought the movie’s end credits are the most awe inspiring ones since TRON Legacy. What i’m not a fan of are those “black bar” covers (#7, #12, #15), but that’s just me. The #14 and #15 combo would be a thrill to have, however. In closing, it’s hard to say which one is my favourite, but i do know that i want one of them in my iTunes library. I agree about the end credits, a lot of high quality work went into those. But I found the opening logos even more impressing. I love when a film immediately sets the tone with customized studio logos and those BR2049 ones just looked freaking gorgeous. Totally agree. Even the alternative ones (that you linked to in your article) looked interesting, although a bit too much like “The Matrix in Red”; so i can see why they went for a different approach. But yes, the final ones are really awesome. You know, I think I have a soft spot for #16, although #14 is nice too- considering that image was used in the press for the film, I’m surprised that wasn’t the official album art anyway. You didn’t use it here, but I do think the image of K walking towards his apartment was a good candidate for an album cover. Its funny that both of the Blade Runner films struggled with getting a fitting traditional poster design. 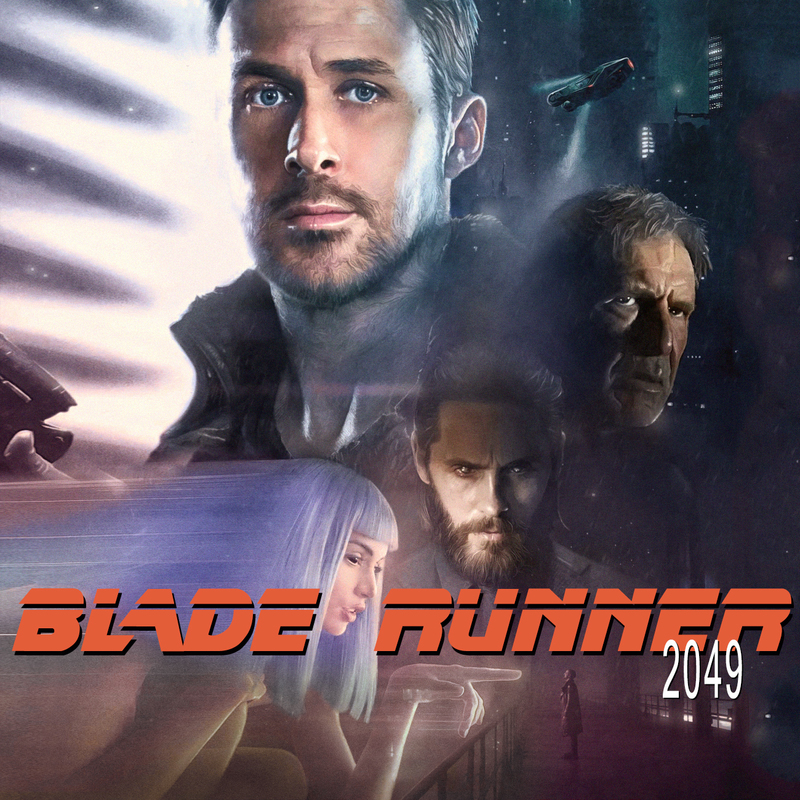 I don’t think they ever really cracked Blade Runner and the BR2049 poster came up pretty short too- as if they were trying to make it look like a Marvel movie. I mean, what were they thinking? 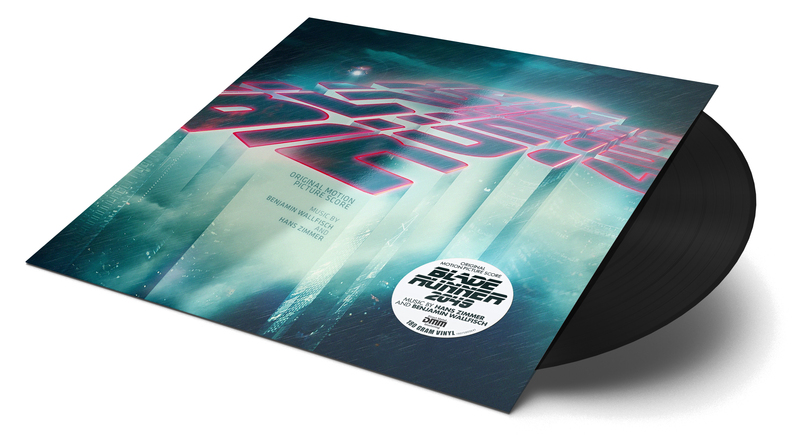 How about a retro variation like a 1970s vinyl OST would have been? Yeah, you know me and 1970s-styled album art. Maybe #12 or #13 would work best with retro typesetting etc. And yes, I fully agree with your closing sentiments! Can’t wait to see the film again in a few weeks. I’m not sure if that motive deserves to be on the front of a soundtrack album. But I agree that the retro aspect came a little short in this set. I want to do the original Blade Runner first, but I may revisit 2049 as part of that and knock out some old-schoolers. I’ll certainly do Pacific Rim as I have plenty of material and also ideas, but not yet. It’ll come… be patient. You could use one of those in the meantime. And no-one I know of seems to have done anything for Coco. I’m not particularly inspired to do that to be honest, maybe that changes after I’ve seen the film… but I placed a request in my custom covers community and I’ll let you know if anything comes up. heidl, let me first say that I love your work. I have many of your custom covers adorning my soundtracks on iTunes, and can not thank you enough for all your hard work. I also love that you have so much admiration for this film. 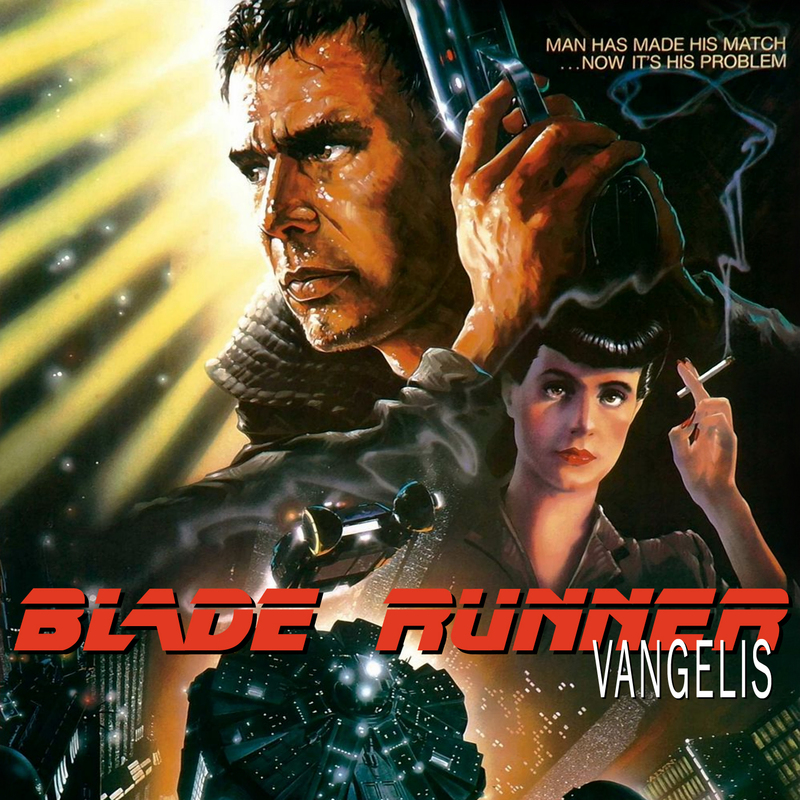 Even though I’ve never been the biggest fan of the original Blade Runner (though I’ve always had massive respect for it), this film is monumentally important to me. I fell in love from its opening moments and it was one of the most impactful cinematic experiences of my life. Thank you so much for your response, John! I really love reading comments, ha! I feel similar about BR and BR2049. Even now I constantly keep coming back to the film in my home cinema, it’s such a treat for all senses. Thanks for coming back to my site, I hope I’ll be able to satisfy your needs for alternate cover art in the future.